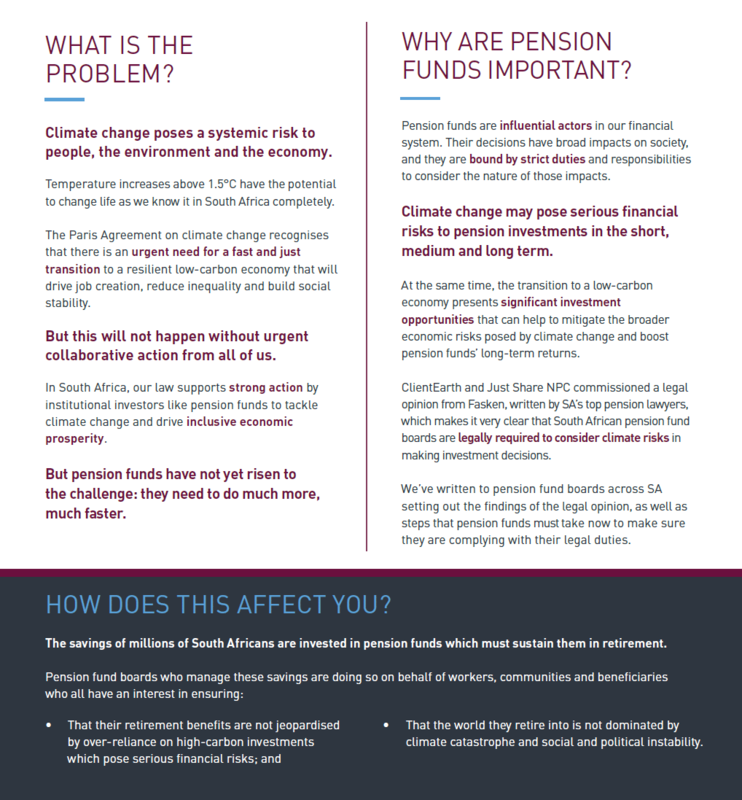 Just Share, together with international environmental legal NGO ClientEarth, commissioned a legal opinion from Fasken on the question of whether the boards of pension or provident funds are required under South African law to take into account climate-related risks and opportunities when making investment-related decisions on behalf of their funds. The legal opinion is unequivocal in finding that they are required to do so. Pension and provident funds are important social actors with a key role to play in creating a more inclusive and sustainable economy. 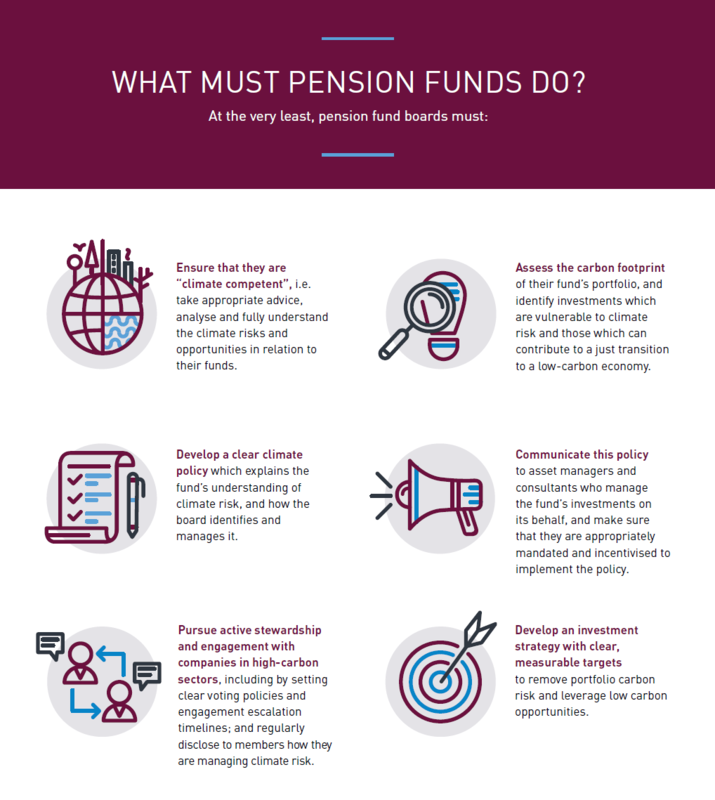 Factoring climate risk into investment decisions is essential to driving a just transition to a low-carbon economy, and is fully consistent with trustees’ fiduciary duties. 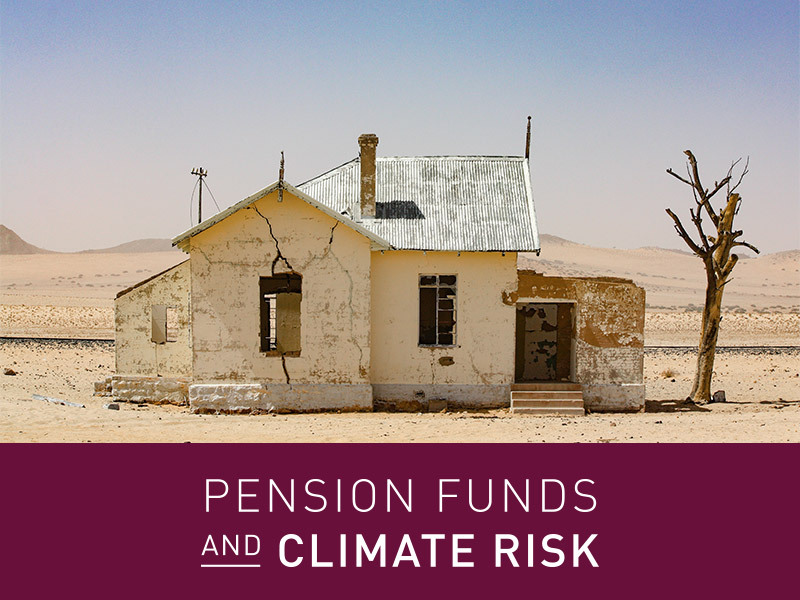 Just Share and ClientEarth have written to most of SA’s major pension fund boards, to share the opinion, highlight the latest developments relating to investment risks and opportunities stemming from climate change, and provide guidance as to what steps trustees must take to comply with their legal duties.